Between Thanksgiving dinner, Black Friday shopping, and Gilmore Girls: A Year in the Life, you've probably been more distant than usual from the pulse of the news cycle over the past week. While you try to catch up during your Sunday flight delay, you'll see headlines about Fidel Castro's death, Donald Trump's tweets, and Michigan's loss to Ohio State. Hopefully, you'll also see some important news stories for feminists, since there seems to be a lot of female empowerment in the works. Not sure what to look for? A female presidential nominee raised millions for a vote recount. Thousands of other women are planning to march on Washington in January. An A-list actress embraced her maternal instincts. They're powerful stories about powerful women — and they come at a time when the world, and particularly its women, could use some encouragement. Since the election of President-elect Trump, women across the country have worried about the impacts that the incoming administration will have on their reproductive health and the respect that they receive. While their worries can be justified, the work that many women are doing in the meantime should serve as a source of empowerment. But don't just take my word for it, take theirs. In the days and weeks since the election, thousands of women have RSVP'ed to Facebook events calling for a massive march in the streets of Washington, D.C. around Trump's inauguration. It hasn't been an easy feat turning those disjointed-but-likeminded actions into a unified event that exists beyond social media, but as Slate reports, the Women's March on Washington is taking shape. Read to be informed and to join the initiative. 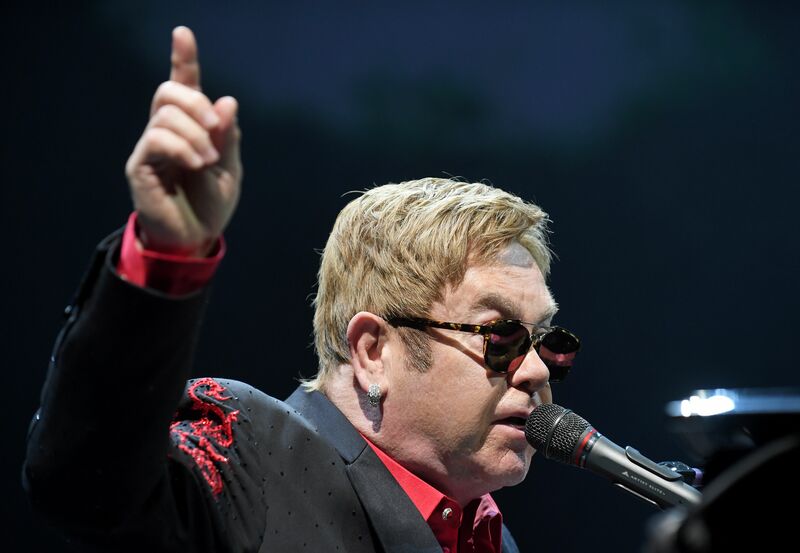 Thousands of women may or may not march on Washington during Trump's inauguration celebration, but there's one person who definitely won't partake in the presidential festivities: Elton John confirmed this week through a rep that he won't perform at the inauguration. It's a loss for Trump's transition team, which had previously reported that John would perform, but it's a symbolic win for the LGBTQ community. All of this inauguration talk assumes that President-elect Trump will be inaugurated. But Green Party presidential nominee Jill Stein launched a recount campaign, seemingly in an effort to block Trump's victory altogether. In the past week, Stein has raised more than $6 million and successfully filed for a recount in Wisconsin. She'll continue to collect donations online to fund recounts in Pennsylvania and Michigan, as well. On Tuesday, an emotional Ellen DeGeneres received a Medal of Freedom, the highest civilian honor in the country, from President Obama. In presenting DeGeneres with the medal, Obama said, "Ellen counters what too often divides us, with the countless things that bind us together, inspires us to be better, one joke, one dance at a time." The talk show host's award is well deserved and particularly meaningful given the deep divisions that have plagued the country in recent months. According to The Guardian, 24-year-old Zaineb Abdulla, a Muslim woman from Chicago, has begun to teach her fellow Muslim-American women how to defend themselves from hate crimes. Abdulla was reportedly inspired to share her self-defense practice with her community when she heard about a woman whose hijab was grabbed violently. It's undoubtedly sad that the situation for Muslim women in the U.S. has come to this, but it's an important reality to talk about in an effort to create change. Through her new movie, actress Nicole Kidman supports adoptive mothers. She plays one, but she has also been one. In an interview with CNN, Kidman said, "I've experienced adoption, birthing a child, and I've experienced surrogacy. I'm like when it comes to it, I just wanna be a mama." Her new movie and her supportive words highlight the importance of motherhood and of every woman's right to choose how — or if — she becomes a mother. You've heard of Elizabeth Cady Stanton and the 19th Amendment, but do you know the real roots of the women's suffrage movement? According to a report from The Washington Post, Iroquois women are to thank. They controlled land and held positions of power in their tribes long before the 20th-century feminists you know and love began their work. There is more to be thankful for this week than turkey and vacation days. It has been a trying time for the country, including women, but the stories above show some important victories from recent days. They can also inspire the important work that's left to do.